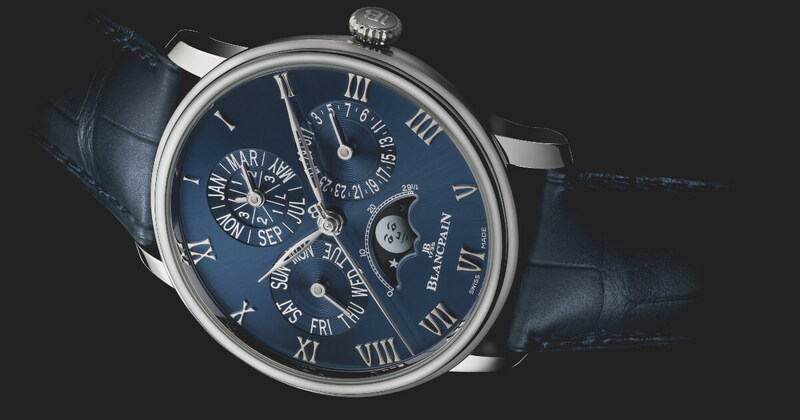 Each year, building on centuries-old watchmaking traditions and craftsmanship, Blancpain creates exceptional timepieces that never fail to impress with their technical and aesthetic characteristics. The Manufacture is now unveiling its must-have Villeret Quantième Perpétuel model. Exclusively available from the brand's boutiques, this platinum watch with a blue dial is issued in an 88-piece limited edition. 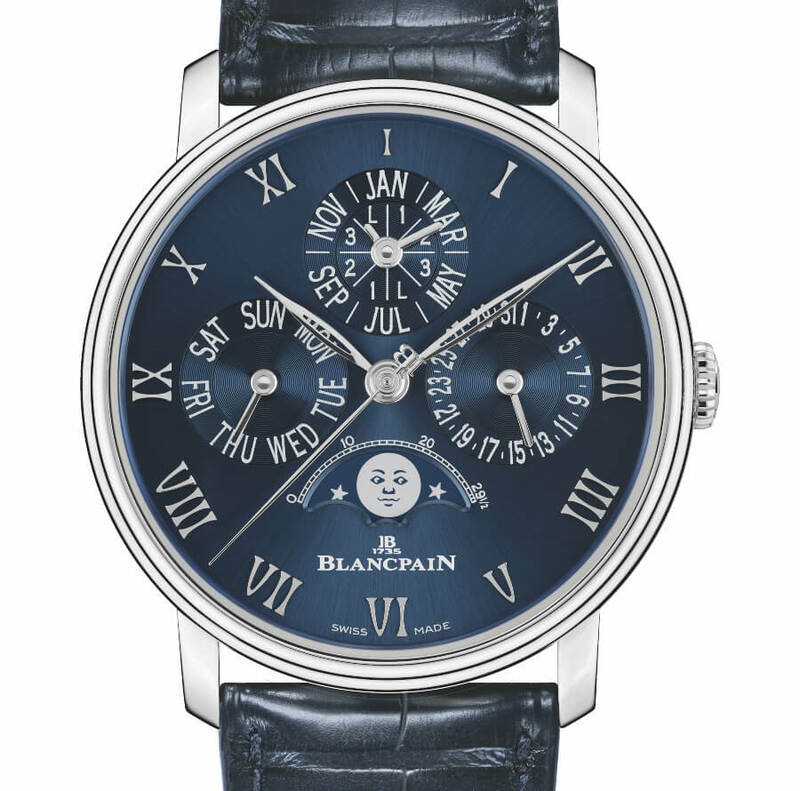 Blancpain's Villeret collection symbolizes classicism in its purest form. It embodies the brand's profound attachment to the values of traditional watchmaking, notably conveyed through movements with horological complications such as the perpetual calendar. The latter serves to indicate the day of the week, date, month and leap year without requiring any adjustment until 2100. Endowed with a veritable mechanical memory, perpetual calendar models are some of the exceptional timepieces that Blancpain produces entirely in-house. The new Villeret Quantième Perpétuel limited-edition timepiece reprises the signature dial layout of Blancpain watches featuring this complication. The information thus appears at 3, 9 and 12 o’clock, along with a moon phase at 6 o’clock as well as a large central seconds hand complementing those showing the hours and minutes. These displays are all driven by the self-winding 5954 movement, which Blancpain has been careful to protect against improper handling by means of a security system specially developed for its calendars. 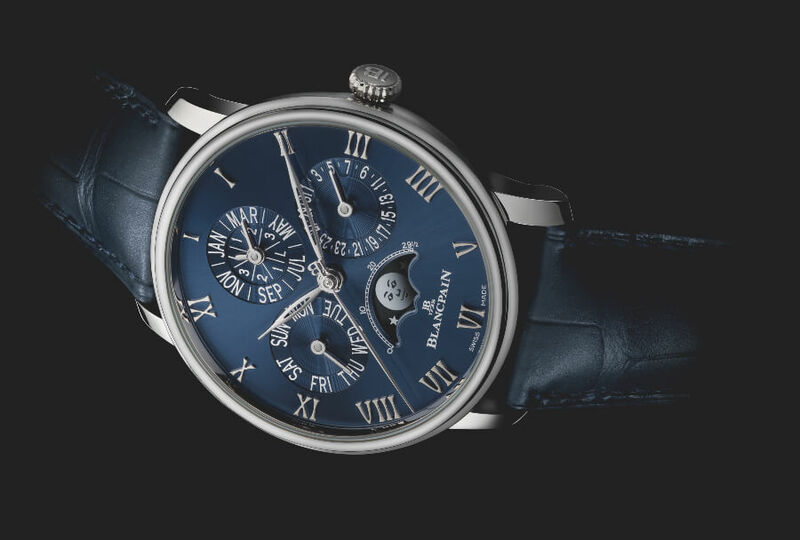 Another distinctive characteristic of Blancpain's complication watches is the smooth and easy adjustment of the indications, and this model duly features under-lug correctors: a patented invention enabling the calendar hands and the moon phase to be moved simply by using a finger to press the small "levers" located on the back of the case. This convenient mechanism also offers an aesthetic advantage, since it leaves the case middle free of the lateral correctors usually found on calendar watches. The elegant profile of this exclusive model is enhanced by a platinum case with a double-stepped bezel. Measuring 40 mm in diameter and water-resistant to 30 m, it features an anti-reflective sapphire crystal protecting a deep blue dial punctuated by slender white gold hour-markers. 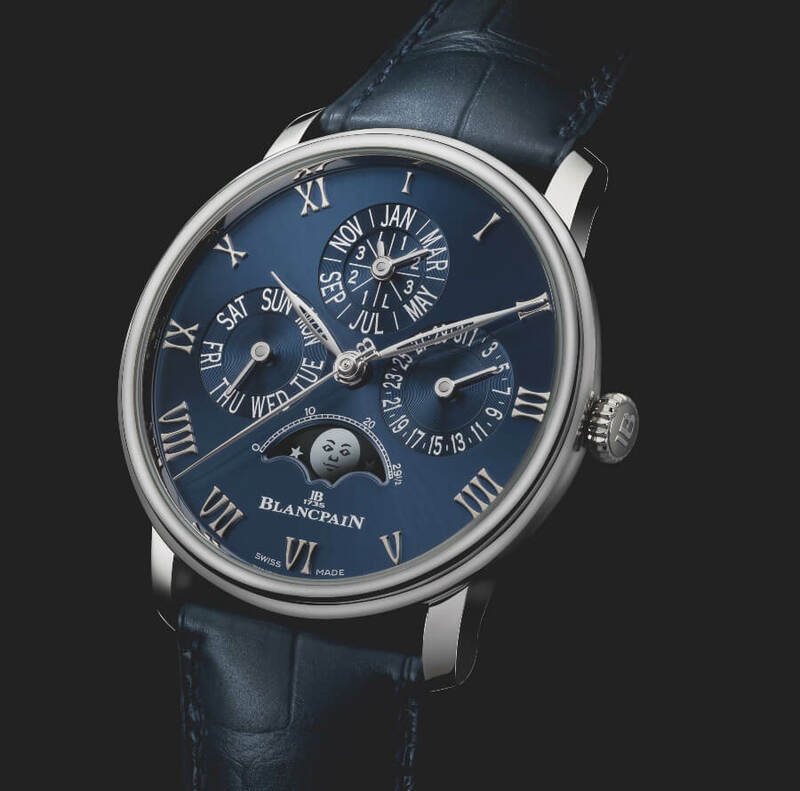 Issued in an 88-piece limited edition and available exclusively from Blancpain boutiques worldwide, this timepiece is fitted with a blue alligator leather strap secured by a folding clasp.